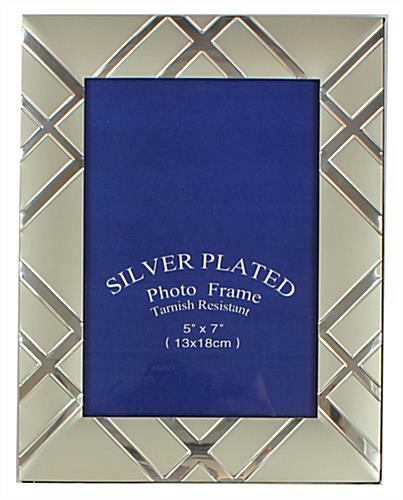 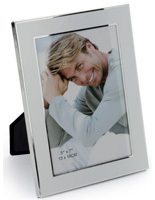 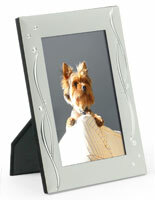 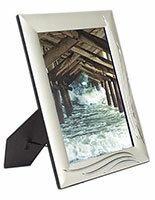 These 5 x 7 silver photo frames make great gifts for family events with thier attractive mirror design and cheap price. 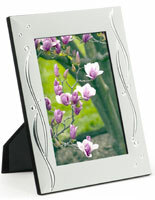 The displays are made of strong aluminum and feature reflective accents that make them stand out in any home or office. 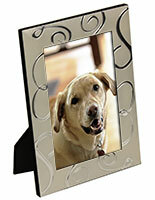 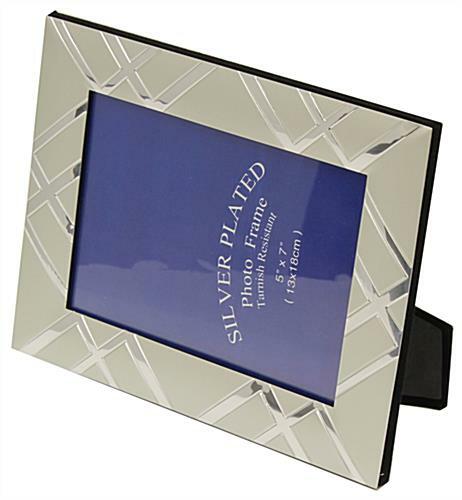 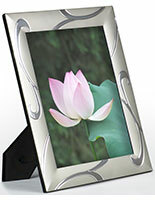 The silver photo frames with a mirror pattern also include a glass lens for protecting prints from moisture and dust. 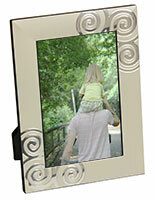 Each holder has hooks and an easel for being placed on both walls and countertops. 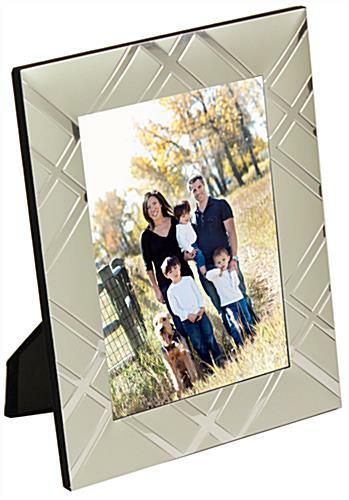 The photo frames with reflective accents and a clear lens can be placed either horizontally or vertically. 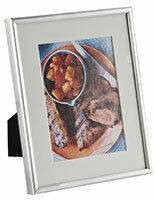 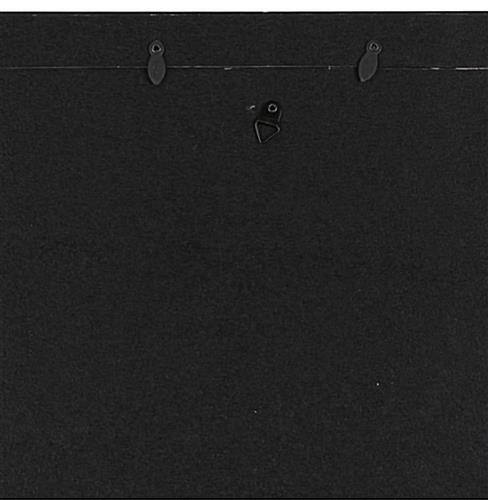 The displays with (2) hooks are easy to set up with their rear loading design and sliding clips.